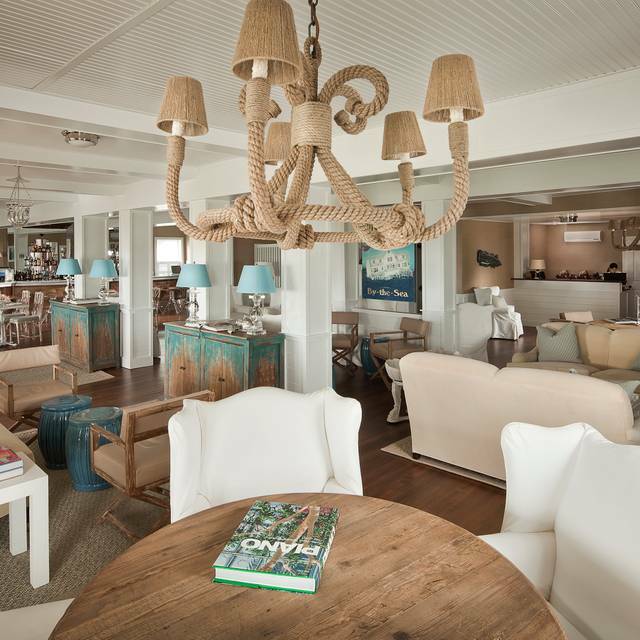 The Tides Beach Club is a seasonal restaurant open from May to October. We are currently closed for the winter season and will reopen May 2018. 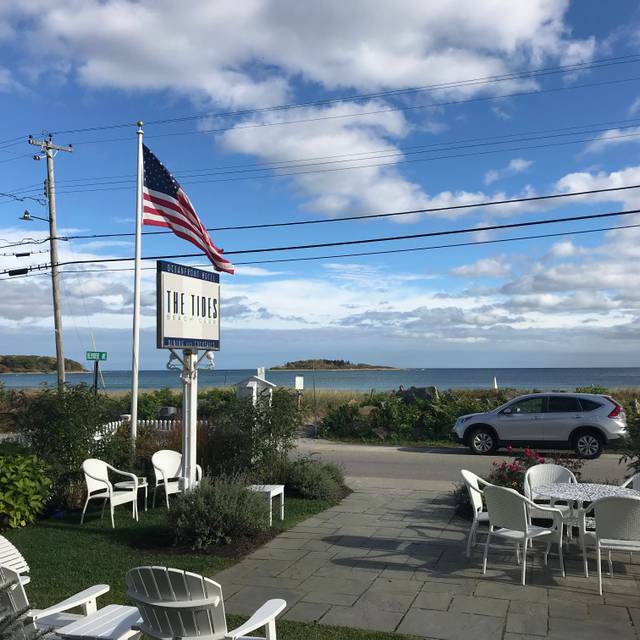 Dining at the Tides Beach Club in Kennebunkport, Maine is a refreshing experience with the emphasis on fresh! Our menu is bursting with fruits of the seas and vegetables of the garden, skillfully prepared in an uncomplicated manner to emphasize the great quality of the food and loving attention of Chef Taylor Stanton. 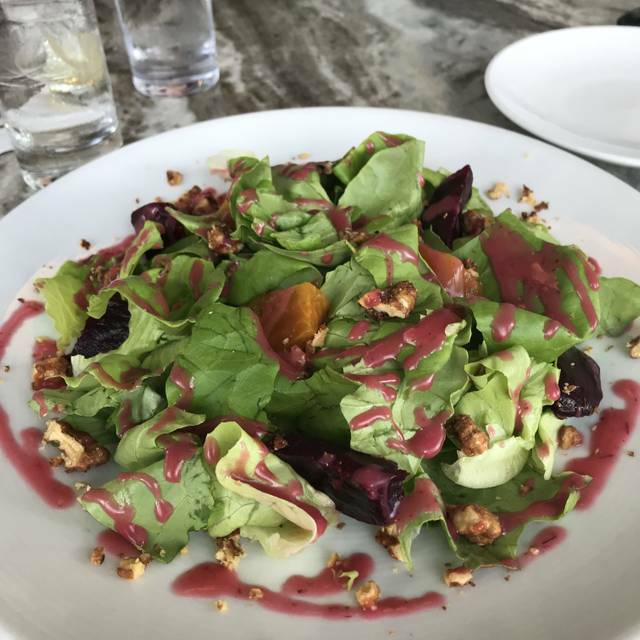 Pair your favorite with one of our signature cocktails or a selection from our extensive wine list and you"re sure to have a meal you'll never forget. Terrific location, great food and excellent service (by Phoebe)! Crab cakes were exquisite — light, flavorful, with just the right accompanying sauce and greens. Saucy/spicy shrimp appetizer was also fantastic — great balanced flavors and just the right tint of heat. 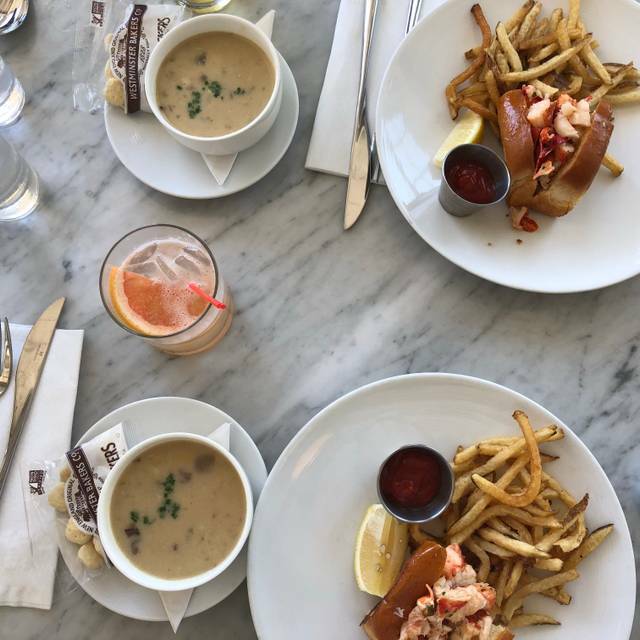 And then there was dinner — lobster roll with fantastic fries. Have eaten at many 4/5 star restaurants across the globe and the meal here would rank as one of the best certainly! Tides is our go-to spot for a special night out. The setting, service, and food never disappoint. Just sad they will close for the season next week. See you next year! Service could use improvement. Had to wait too long for someone to seat us and was only acknowledged by the staff after asking if we should seat ourselves. 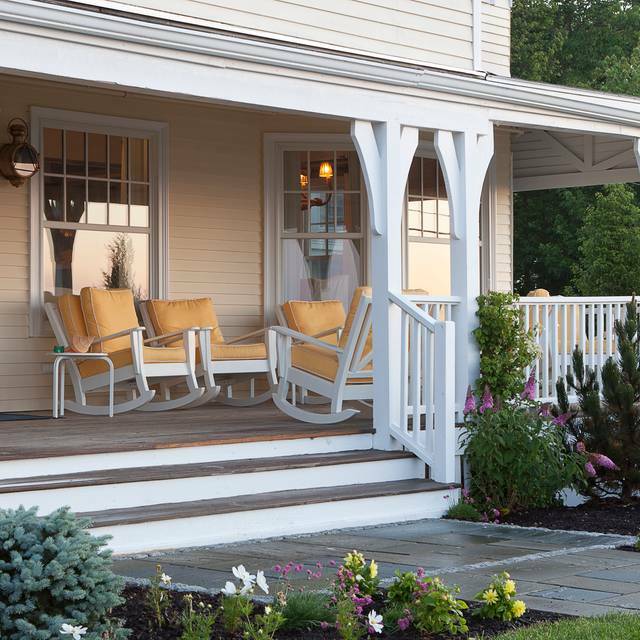 A true New England gem on the coast. Driving from Boston to Bar Harbor we had to stop for lunch and wanted to make it a scenic and special one. My husband went for a seared salmon and I chose crab cakes and beet salad - all delicious and very delicately presented on the plates. Absolutely worth the detour and highly recommendable, would have loved to have stayed at the hotel as well. Fantastic waterfront dining at Goose Rocks Beach. Fun and fresh local food. Our dinner was delicious! For some reason our server did not tell us about evening specials, etc., but even so we enjoyed our selections. We live nearby and were with another couple, a good evening all around. 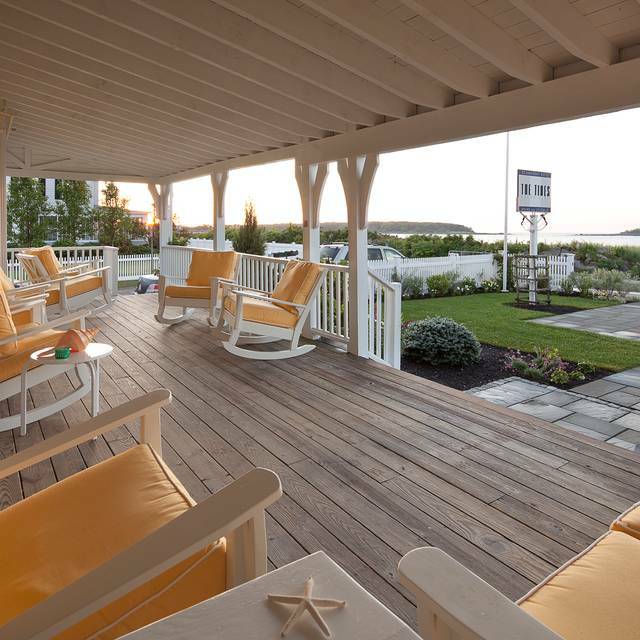 Requested a table on the porch with a view of Goose Rocks Beach. We got 2 starters, 2 meals and dessert. Overall the food was extremely bland. Honestly the dessert was the only thing that truly tasted good. For the price, we were very disappointed. We also got 2 beverages each and Bill was $200. With so many great options around, we will not return to TBC. Love going to the tides. The food was delicious and very plentiful. Love their fried whole belly clams! I try to come to the Tides at least every year when I am visiting Maine. The food was great with the exception of the lobster roll. I was very disappointed. I ordered the cold lobster roll and the lobster tasted as if it was cooked in garlic. It was too overpowering and lost the fresh taste of the Maine lobster meat. I had trouble eating it. Other than that the appetizers were great! Great dinner and ambience. Really great menu. Service was outstanding. My sons birthday. Thank you everyone at Tides. Drinks are good but pricey. Our table waiter was fine, but the woman who took my husband’s drink order forgot to bring it when we were sitting outside before our meal. Food was hit or miss: spicy shrimp were delicious, Cesar salad and crab cakes, meh. Lobster roll was tasty with lots of lobster, but not that tender. The view is gorgeous, so if you’re looking for style over substance this is a great spot. Poor service. unusualy long wait for service and drinks to be delivered. Food was burned for one and and bland for another party member . it was wonderful, it helped that we had a beautiful day to enjoy a great meal. I wish we could go more often, but we felt the meals were a little bit more than we usually spend. we are planning to go one more time in October before it closes for the season for our 34th Anniversary. A good restaurant in a beautiful setting. The food is good (not great) but the setting is gorgeous and the entire place is very well decorated. A great place to just kick back and enjoy a cocktail (or two). We have been to Tides many times through the years. But this experience was lousy. The food was over cooked, fries clam app was so over done. The rib eye was over cooked and thin. The shrimp on the stir fry was almost burned on one side. Terrible meal. They didn’t have the ingredients for two separate drinks we ordered. Service was slow. The whole experience was terrible. Since we go every summer multiple times, we won’t be back for a long time. As always, the Tides did not disappoint ! Every time we dine there, it is a wonderful experience! Delicious meal and were able to accommodate very well our dietary restrictions due to Celiac disease. The kitchen even has a separate fryer for only french fries — a celiac’s dream! The server spilled a good part of our wine on the table. We were seated 18 inches from other tables on both sides and could barely hear each other. There are plenty of better places in the area that offer a better experience, food and service. This was our second summer visit to the Tides; and the 4 of us decided on the spot that it must be an annual event. The view can't be beaten. Extensive menu and wine list; delicious and appealingly served! The watermelon cosmo is incredible and not to be missed! We have been coming here for seven years and it seems that the prices have gone up and the service has gone down. Lovely atmosphere. Very wonderful bartender! 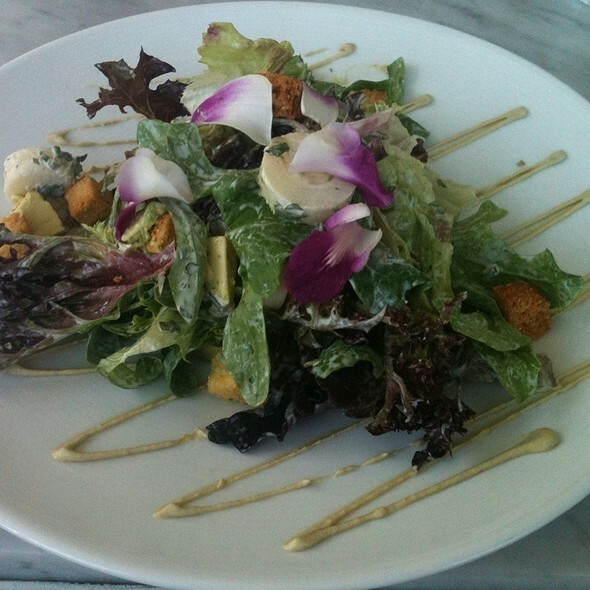 My salad was very good and different. The food has gone downhill with the new chef unfortunately. This place has it all! Loved everything about it. Great food, great location, superb decor and atmosphere... Will highly recommend and will definitely return when in Kennebunk! Magnifique endroit. La prochaine fois nous réservons d’avance pour un séjour. Aller au Tides c’est vraiment se faire du bien et se gâter. Great decor, attentive service and good food. We love the great location across the beach. We enjoyed the restaurant for the location above all. The staff was very friendly and our waitress did a good job of recommending what she thought we might like. We wanted something simple, my husband had a hamburger. He thought it was fine. Great food in a great location. We drove out of the way to get to this resturant only to find out that there was no parking, neither at the resturant or in town. This could have been informed when making the reservation. In addition, over priced food and very limited kids menu. I will never go back and would never recomend this place or kennebunkport as destination. Felt like it is stuck in the 1980s. The food was wonderful. I started off with oysters, which were medium and sweet, with a nice brine. My husband had shrimp. Service was timely and Marjorie, our server, was great. We were there with our adult daughter and had a great time people watching and enjoying one another and great food. We had an incredible experience again at The Tides. Ambiance, food, service and chef’s wine recommendation were all five star. We can’t wait to come back. Need to better provide better parking for restaurant customers. The food was good. Service was good. The place is looking a little dated. It needs some sprucing up.